The world is changing at a pace faster than ever before. While it has brought economic upliftment for many, it has also left a lot of us, particularly the adolescents, their parents and teachers, all a bit confused. This is particularly true when it comes to making a course/career choice. Unlike the past, when there were only a few lucrative options, today there are a number of good careers available. Also today there are a number of influencers ranging from family members to friends/peers to Internet and Television that try to influence the young adolescents' mind. Therefore, it is quite natural for the young minds to be confused about which careers/courses to pursue, why to pursue these and from where to pursue these. We at Team MapMyTalent believe that this confusion can be resolved to a great extent with the help of tested principles of behavioral sciences. Team My Talent comprises people from varied and rich background. It is, in fact, a unique mix of Experience, Expertise and Intellect. A collective of people who have between them over 80,000 man-hours of enriching experience and unique experience of counseling over 29000 students over the last one decade. Prof. (Dr.) A.K. 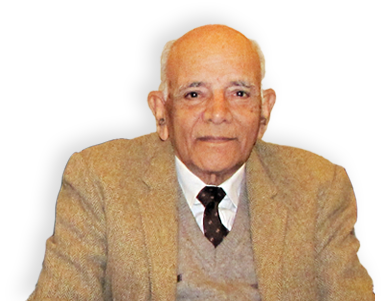 Sharma is an eminent educationalist and academician. He is the former Director – National Council for Educational Research and Training (NCERT). He has been a member of task force on the formulation of national policy on education and has also been a member of the central advisory board of education. He has been an educational consultant to several national and international organizations like UNESCO, International association of education evaluation (IAEE, Paris) and World Bank. He is the chairman, curriculum committee for the national institute of open schooling (NIOS). 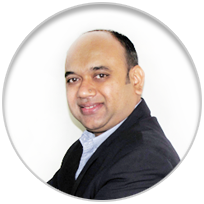 He is an eminent member of the Board of Advisors at Sattava Edusys. An experienced team passionate to change the existing education ecosystem! 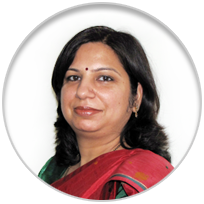 Dr. Anubhuti Sehgal holds a Ph.D. in Human Resource Management and has over 15 years of rich experience in research, education and Career Counselling. Dr. Sehgal has an outstanding academic record and has been thrice awarded Gold Medal in graduation and post graduation level. She is one of the most prominent career counsellors in the country and has represented MapMyTalent as " Knowledge Partner" with Times of India, NavBharat Times for many seminars and workshops. Dr Anubhuti Sehgal's articles on careers and personality are frequently published in all editions of Dainik Bhaskar and Amar Ujala . . She has also helped students through the TV program Success Mantra on News World India Channel . She is associated with the St Thomas Mar Thoma Church, Salmiya, Kuwait and has conducted career counselling sessions for students in Kuwait associated with the Church. She is associated with DLF foundation and has conducted career counselling sessions for students of schools under the aegis of DLF Foundation like Jhankar School Gurgaon. She is also associated with Hero Motor Corp, Gurgaon and Honda Motorcycles and scooters Gurgaon and has conducted career counselling for employee's wards. Her career guidance videos have more than 1,00,000 views on YouTube. She has conducted career counselling sessions in many schools across India like DPS Dwarka New Delhi, Sardar Patel Vidyalay New Delhi, DPS Panipat Refinery, DPS Amritsar, Saupins School Chandigarh, Chinar School Alwar, APS Ambala, APS Gwalior, APS Kirkee, APS Jammu, Aryan School Dehraduan, The Kasiga Dehradun , and many more. Mr. Rohit Sehgal is an IIM alumnus, with over 16 years of accomplished business management and leadership experience spanning a wide spectrum of large MNCs to start-ups. He has launched and managed many winner brands in his career. Prior to founding Sattava Edusys, Mr.Sehgal worked with an FDI Private Equity Fund. 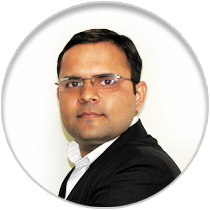 Neeraj Sharma is an IIT alumnus with more than 2 years of rich technological experience. Prior to joining Sattava Edusys, he worked with Sasken Communications.